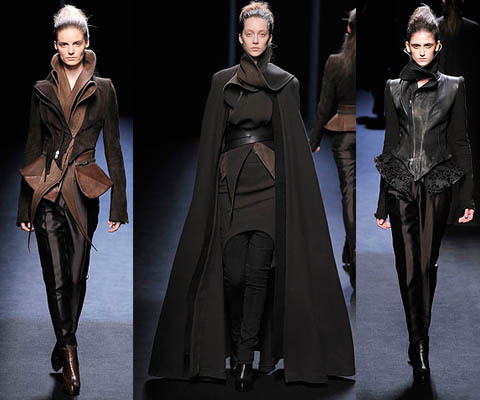 I am officially a loyal fan of Haider Ackermann’s designs! Ever since my favorite Alexander McQueen has passed away last month, there was a “void” in me that is seeking a new designer that as equally talented and the designs are truly unique that takes our breath away…. 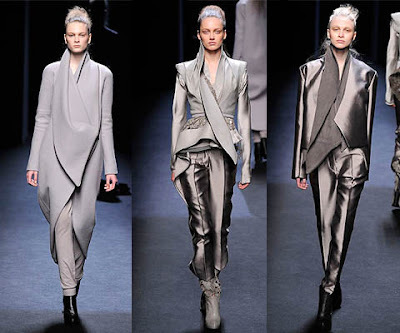 And I think I’ve found it, Haider Ackermann ! The master draper, the rumoured Margiela replacement, and the man who calls Tilda Swinton muse. 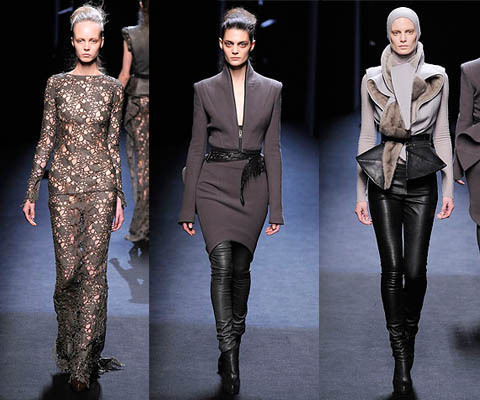 Who exactly is this Columbian, Belgian-trained designer who has taken his place on the Parisian fashion circuit? 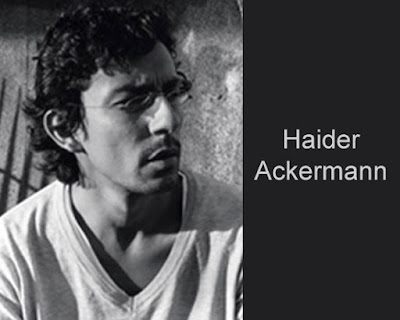 One of Antwerp Belgium’s brightest young stars, Haider Ackermann has seen many more ports than the one fronting the town in which he now lives and works. Born in Santa Fe de Bogotá, Colombia, in 1971, he was adopted by a French family. Due to his father’s business obligations, he spent his childhood moving around the globe. 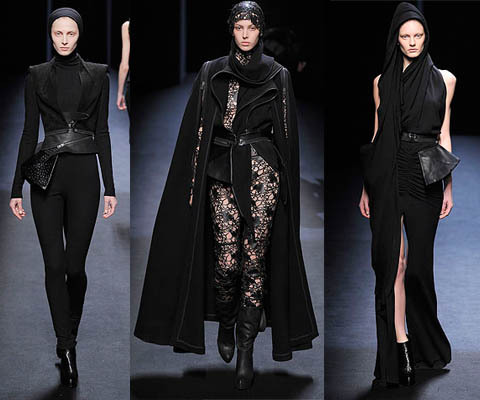 After living in Ethiopia, Chad, France, Algeria and the Netherlands, he decided fashion was his vocation. High school finished, he left home in 1994 and headed for Belgium to study at the fashion department of Antwerp’s Royal Academy. 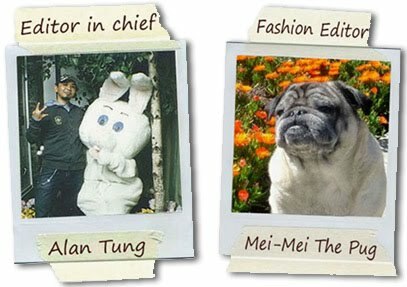 During his three-year stay (he left the four-year course prematurely because of financial difficulties), he also worked as an intern at John Galliano’s Paris office. 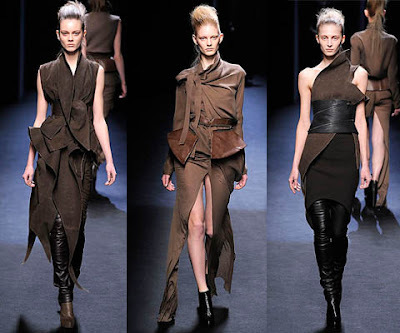 Taking a job as an assistant to his former academy teacher Wim Neels in 1998, he worked on both the men’s and womenswear collections of the Belgian designer. After saving money and taking encouragement from his friends and acquaintances –among them Raf Simons – Ackermann finally took the plunge and presented his first, self- financed women’s collection in Paris for autumn/winter 2002. His subtle, dignified and sensuous clothes immediately struck a chord with buyers and editors, as they did with Italian leather manufacturer Ruffo. Just two weeks after his debut show, Ackermann was hired as the head designer for Ruffo Research and commissioned to create two collections (spring/ summer and autumn/ winter 2003), while continuing to produce his own line. Ackermann is now receiving even wider acclaim, not least in the form of the prestigious Swiss Textiles Award at the 2004 Grand Fashion Festival. Ackermann’s sensitivity with drape and textures shows through in every collection. In his fall winter 2010 collection shown at the Paris fashion week last month (March 7th 2010) Ackermann showcased his signature fitted leather and suede vests and jackets are back, but this time with even more drama. 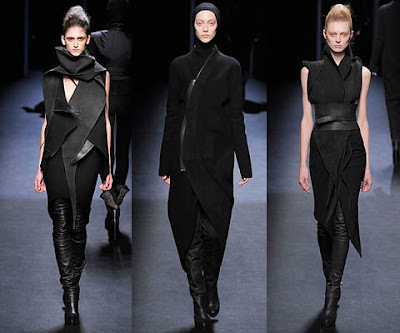 That's thanks to both long, undulating collars that can be wrapped around the neck any number of ways and zipped-on peplums that are easily detached, should the woman wearing them so choose. "I wanted it to be totally up to you," Ackermann said backstage, alluding to the clothes’ timely utilitarianism. On the bottom, his fans’ options will include, as usual, leather leggings or floor-scraping skirts with deep slits, along with new, more tailored trousers. It was a beautiful show that I am speechless by his talent & vision. 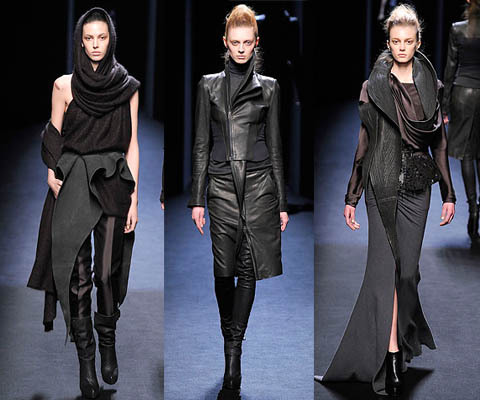 I hope you enjoy Haider Ackermann’s creations as much as I do! Until next time, be well & look fabulous!